At Rosie's Tearoom in Grange Manor they have an enviable reputation for their Afternoon Teas! 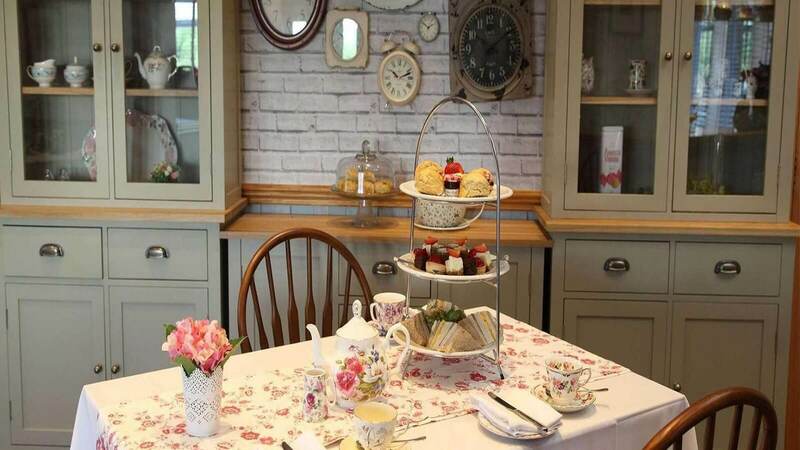 Which consist of a delicious selection of assorted sandwiches, homemade cakes & pastries and freshly baked scones with strawberry preserve and cream served with freshly brewed tea and coffee. Its a treat not to be missed. The Grange Manor was built in the late 19th century for the Earl of Zetland's local estates, which to this day retains many of the original features, adding to its natural charm and elegance. Set in beautiful landscaped gardens enjoy the view whilst you eat your delicious Afternoon Tea! Offer is valid for Afternoon Tea (7 days a week).